I should take a moment at the start of this review to explain the name change of the Allnic preamp formerly known as the L4000. It is now called the L3000. According to David Beetles of Hammerton Audio, Allnic’s North America importer, the name change was to facilitate product price grouping and natural mating. Allnic now has three distinctive product lines, the 1500 series, the 3000 series and the ALIS series. 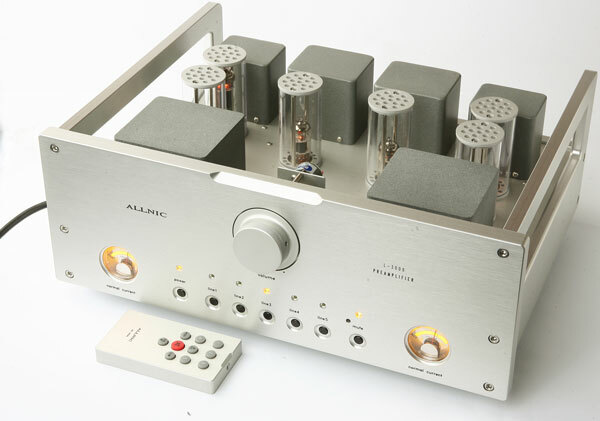 ALIS (Allnic Laboratory Innovative Series) now includes the Direct Heated Triode Line Stage, Power Amp and Phono stage. Well, it’s good to clear that up; this is my third review of Allnic products. 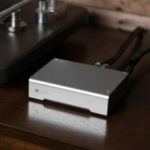 The second review was of the top-of-the-line phono set up, the H-3000 phono preamp. When you add to it the L-3000 linestage, you are approaching Mr. Park’s statement on how to listen to music. So I will get on with this review without background about the company and Mr. Park, that can be read in previous reviews. The Allnic L-3000 is Allnic’s top-of-the-line linestage. It is a great looking and great sounding pure class A, no negative-feedback design. The workmanship of the front panel and chassis is as fine as any I have ever seen. Not only is it beautiful, but it is equally functional. Simply put, it is a joy to look at and use. Allnic uses a single gain stage for the L-3000. The single gain stage circuit uses only ‘one’ tube in amplification. Mr. Park feels that a single gain stage reproduces a purer, more detailed, more spacious and more dynamic sound than multi gain stages. The L-3000 is transformer coupled instead of capacitor coupled. In my experience, the use of transformers in preamps usually improves the sound quite a bit. All of Allnic’s transformers are built in house and wound from 78% nickel. 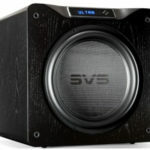 It is also designed to have a constant and low output impedance of 150Ω at all frequencies. For quieter and more dynamic operation, L-3000 uses an ultra high speed automatic voltage regulation circuit, made only with vacuum tubes for each channel. This design also should protect the amplifying tubes from any change of AC Line. Allnic also uses an automatic muting system in the L-3000. It’s a 40 seconds muting circuit to prevent any harmful transient to harm the power/amplifier/speakers, while the preamplifier is warming up. Like all the other Allnic products I have seen, the L-3000 uses two amber analog current meters. They illuminated the front panel and the meters show all the status of L-3000’s operation, as well as any failure. 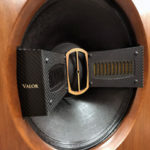 Another thing in common with the other Allnic components I have reviewed is their use of their own vacuum tube damping technology called “Absorbe GEL tube dampers.” I have to admit that this damping system seems to reduce microphonics better than any other system I have experienced. Unlike Kondo, Shindo, or Wavac, Allnic’s line stages come with a remote control. The volume for the L-3000 is done with a precision attenuator volume control. Instead of a digital IC volume control or a carbon film volume control with a motor, the L-3000 uses a precision 42-silver-point oil clutched motorized attenuator custom built by Allnic. It has ± 0dB channel unbalance at all setting of the volume control. I also have to admit, a remote sure is nice when the phone rings. Setting up the L-3000 was as simple as could be. Like all Allnic products, you have to take the tops off the tube chimneys and remove the little cardboard pieces that protect the tubes during shipping. I should also mention at this time that with each piece of Allnic I have received, the units have been in excellent condition due in part to their fine packing. Afterward, I simply unhooked the wires from the H-3000 phono preamp that were hooked up to my Shindo Masseto, as well as the wires to my Wavac EC300B power amp, and the Audience Au24 powerChord. I removed the Masseto and simply hooked everything back up to the H-3000. I then turned it on and everything worked, what could have been easier. As I often reminded you, one of the real dangers of reading or writing a review is assuming that we all have the same values in listening to recorded music. So, as we go forward in this review I will try my best to tell you what the L-3000 sounds like and not whether or not it meets my personal taste. I’ve listened to the L-3000 for a couple of months and with multiple listeners and invariably everyone, including me, thought this was one of the very best line stages they had heard. The L-3000 has an incredible sense of dynamics, great transient snap, and uncanny neutrality. The L-300 is easily one of the most dynamic components I’ve ever heard, and we all know if you don’t have lifelike dynamics in your system, your music will never sound alive. With this line stage, recorded music takes on a visceral characteristic that I hear in live music. Just listen to how it plays a kick drum, or the sharp attack of plucked strings, or the way it plays a piano. Just like the H-3000 phono preamp, the L-3000 is dead quiet. This, of course, really helps with its dynamics, both macro- and micro. Just like it was with the H-3000, this is one area where the L-3000 sets new standards. In fact, it’s the way the L-3000 even further enhances your system’s ability to handle space. The combo of the L and H 3000 is simply better than any other soundstage I have ever heard before. They let each instrument or voice sound as though it’s coming out of its own source and three-dimensional space. No instrument, not even loud and large instruments overshadows any other; they each have their own space, even the tiny triangle or, say, a piccolo. This results in a very interesting and involving musical event to listen to. In most reviews when I get around to talking about soundstage, I say it’s not all that important to me. After hearing the way the L and H-3000 handle space it makes we wish I could have a soundstage like this all the time. As I said in the review of the H-3000, “I am simply blown away by how it handles space.” When you add the L-3000 Linestage, it is even more mind-blowing. 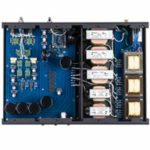 There is no doubt that if soundstaging and that reach-out-and-touch-you way with imaging is important to you, you must hear the Allnic electronics.